Photos: On twig and trunks of deciduous trees. Cork, SW Ireland. Very variable. 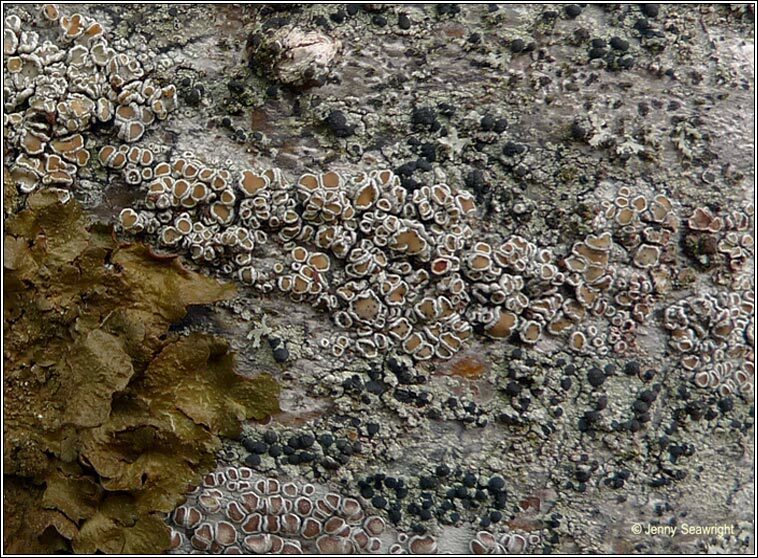 Smooth or warted creamy-grey or grey thallus, sometimes areolate, prothallus absent. 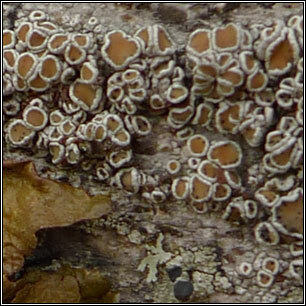 Numerous buff to reddish-brown apothecia with thick, slightly crenulate or smooth margins. Epithecium overlaid with coarse crystalline granules, large crystals also present in apothecia margins. 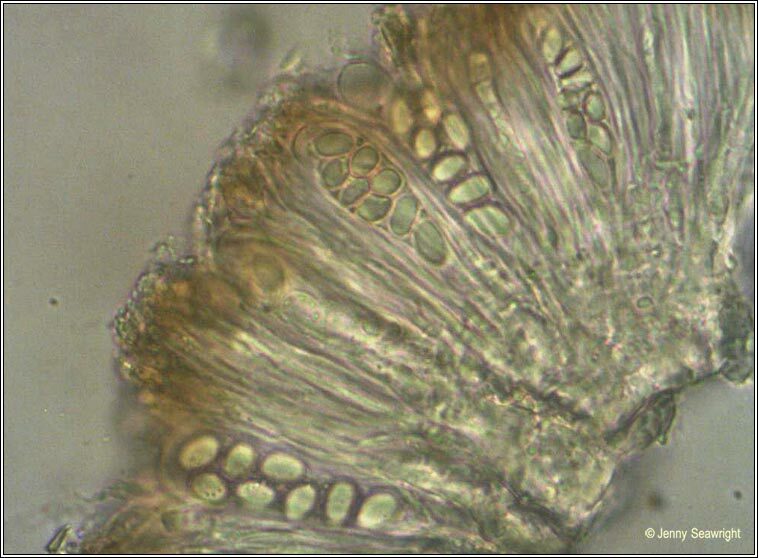 The asci are 8-spored, spores simple, 10-15 x 6-8 µm. Micro photo below. 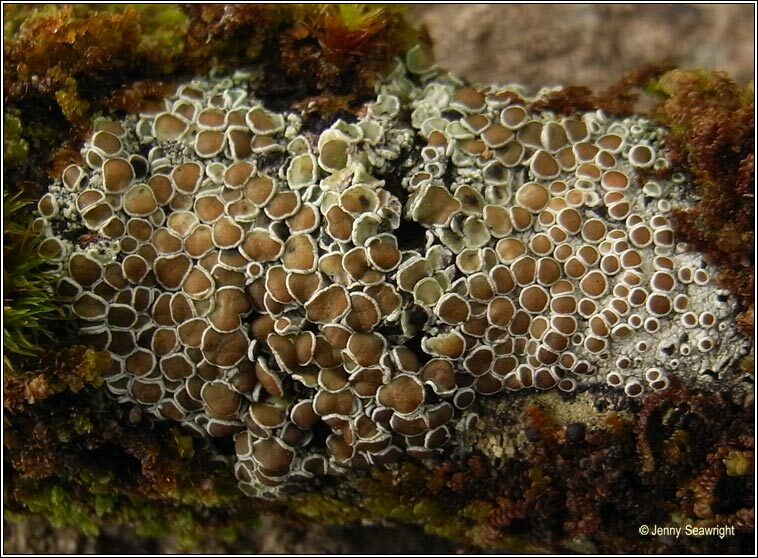 Vouauxiella lichenicola can occur on the discs. 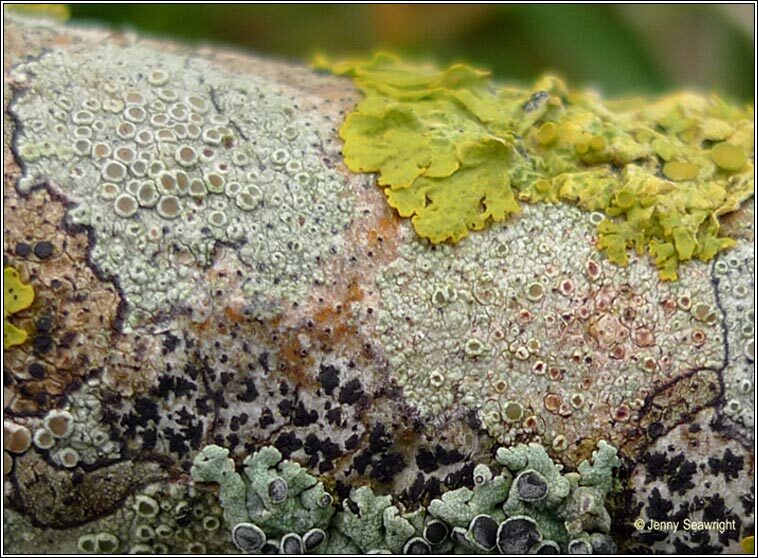 Common on trees, wooden fences and posts in unpolluted habitats. Similar: L. argentata. P+ weak yellow, UV-. Black prothallus usually present, discs often piebald. Epithecium without granules. L. sinuosa. Apothecia margin contorted, over-arching disc.